If you're throwing a block party or barbecue, you need to make sure everyone in your neighborhood knows to attend. 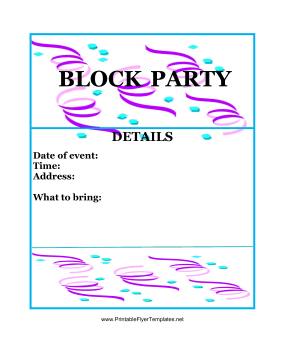 This colorful flyer is decorated with ribbons, making it appropriate for many different types of block parties. You can even use the flyer to delegate tasks to attendees, asking people to bring food, drinks, or dishes.